Below you can see highlights from the 2015 Event in Tel-Aviv including information on the award winners for this year and the full list of speakers from the event. 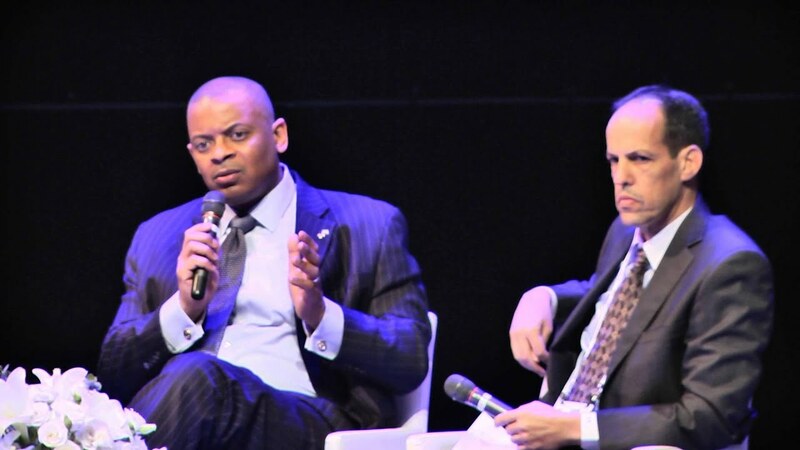 Anthony Foxx, nominated by President Obama, became the 17th United States Secretary of Transportation in 2013. As Secretary of Transportation, he leads an agency with more than 55,000 employees and a $70 billion budget that oversees air, maritime, and surface transportation. Mr. Avi Gabbay (born 22 February 1967) was appointed Minister of Environmental Protection on May 14, 2015. He is a member of the Kulanu party but is not member of the Knesset. Gabbay is married and has three children. John Goodenough joined The University of Texas at Austin in 1986. He is known around the world for his pioneering work that led to the invention of the rechargeable lithium-ion battery. He identified and developed the critical materials that provided the high-energy density needed to power portable electronics, initiating the wireless revolution. The winner of the 2015 SAMSON - PRIME MINISTER’S PRIZE FOR INNOVATION IN ALTERNATIVE FUELS FOR TRANSPORTATION. Jay D. Keasling is a Professor of Chemical engineering and Bioengineering at the University of California, Berkeley. He is also Associate Laboratory Director for Biosciences at the Lawrence Berkeley National Laboratory and chief executive officer of the Joint BioEnergy Institute. He is considered one of the foremost authorities in synthetic biology, especially in the field of metabolic engineering. Mr. Fukuda is a member of House of Representative, Japan. He assumed the position of the Special Advisor to the Minister of State, Cabinet Office. Under his capacity, he takes leadership for hydrogen energy initiative and My Number System. In 1999 Mr. Ziv Aviram co-founded Mobileye, an Israeli company developing a system-on-chip and computer vision algorithms for a driving assistance system, providing a full range of active safety features using a single camera. Dr. Joachim Kolling specializes in developing future digital services for BMW Group. He was part of BMW´s project in developing the mega city vehicle and co-founded DriveNow, carsharing services. 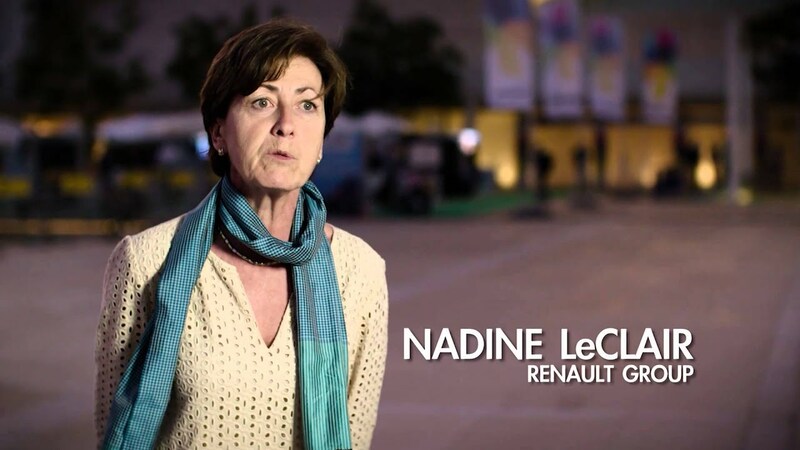 Ms. Nadine LeClair serves as Expert Fellow of Renault since April 2015 after serving as Senior Vice-President of Vehicle Engineering Development of Renault. On September 1, 2008, she was appointed to Renault's Management Committee. Dr. Tamor’s responsibilities include studies of global vehicle usage and future mobility needs, the evolving integration of the stationary and mobile energy economies, and the potential for commercialization of renewable fuel. Dr. Tamor is a Fellow of the American Physical Society, has published over 70 refereed journal articles, authored chapters in four books, and holds 56 US patents. Anja van Niersen has been CEO of Allego since 2013. She brings vast product management & product development experience from her years working at Atos Origen and Alliander. At Allego mission is to enable zero emission mobility for a sustainable world. Dr. Don Hillebrand is the Director of Argonne National Laboratory’s Energy Systems Division. The Energy Systems Division develops technologies to improve the efficiency of resource and energy utilization; to minimize our dependence on imported energy; and to enhance national security. Andrej Heinke is Director of Future Research and Technology Strategy at Robert Bosch GmbH in Stuttgart, Germany. His topics include megatrends and mobility scenarios. Rebecca Boudreaux, Ph.D. is President of Oberon Fuels, a US company making DME as a cleaner, alternative to diesel. Earning a Ph.D. in Polymer Science & Engineering, she has led companies in the clean-tech and life sciences sectors. Gerald Sanders, the Chairman and CEO of SkyTran Inc., a NASA Space Act company, is the subject of a popular Harvard Business School case study. He serves as an Associate Fellow at Oxford University’s Saïd Graduate School of Business. Moti Herskowitz is professor of chemical engineering and researcher in the fields of advanced materials, heterogeneous catalysis and renewable fuels. He established the Blechner Center for Industrial Catalysis and Process Development in 1995, published over 130 papers and 24 patents, many of them related to the production of renewable and sustainable fuels. During 30 years at McGill University Donald L. Smith (James McGill Professor, in plant-microbe interactions) has produced 65 graduate students, 295 papers, 11 patents, a spin-off company, widely deployed commercial technologies and he leads BioFuelNet Canada ($12 million per year). Giovanni De Santi is the director of the Institute for Energy and Transport (IET) at the Joint Research Centre, European Commission. The mission of the JRC-IET is to provide the EU policies with independent, evidence-based scientific and technical support to ensure sustainable, safe, secure and efficient energy production, distribution and use and to foster sustainable and efficient transport in Europe. Mr. Amir is a Managing Director at Ladenburg Thalmann and covers the IoT and Hardware sector. Previously he worked at Lazard, WR Hambrecht and J.P. Morgan. Mr. Amir received his M.B.A. from UCLA and his BA from the Hebrew University. Mr. Butsch began his professional career at Freudenberg-Nok General Partnership (FNGP) where he was managing the fuel cell laboratory in Plymouth, MI, USA. In June 2012 he joined the National Organization for Hydrogen and Fuel Cell Technology (NOW GmbH) and is responsible for International Cooperation including development of intergovernmental and industrial exchange. Vice President of Technology, Agrisoma Biosciences Inc.
Michael Lindenbaum is the Vice President of Technology for Agrisoma Biosciences Inc., a Canadian company that is focused on the development and commercialization of Brassica carinata as a dedicated energy feedstock crop. Eric Feunteun has 17 years experience in Renault operations. Recently he served as COO’s Chief of Staff. After 2 years as Deputy Program Director for Electric Kangoo and Twizy, he took over Renault Electric Vehicles Global responsibility in 2015. John is Chief Engineer – Mechanical Systems in the Tata Group Technology Office (GTO). The GTO is responsible for technology strategy for the Tata Group as well as and developing and delivering innovative products and services. John has a background of working upon sustainable transportation and was one of the organisers of the recent 1st Indian Conference on Sustainable Fuels. Tom is the leader of the Transport & Mobility practice at IHS Automotive, where he directs the long-term planning & sustainability activities. After nearly two decades of involvement in the automotive industry, he currently focuses on mobility sector projects. Dr. Veit Steinle holds the position of Director-General, Departmental Policy Issues at the Federal Ministry of Transport and Digital Infrastructure (BMVI) since 2010. Dr. Steinle studied Political Science, Geography and Sociology and holds a doctorate in Philosophy. Dr. Silke is Head of Strategy & Business Development at ESB ecars, owner and operator of the EV charging infrastructure in Ireland, and advancing commercial electromobility opportunities in Ireland and elsewhere. Having earned a PhD in combustion engineering, she has worked internationally in the energy and utility sector for over 10 years. The Initiative aims to serve as a catalyst for reduction of dependency on crude oil by establishing Israel as a center of knowledge and industrial best practices in the field of fuel alternatives and smart mobility. Itamar serves as Head of Applied Research at Bloomberg New Energy Finance. He works with the firm's sector experts and economic modelling teams, providing customized research on renewable energy, commodity markets and business strategy. Jambu Palaniappan is the Regional General Manager for Uber in the Middle East, Africa and Central Eastern Europe. In this role, Jambu oversees market strategy, expansion and operations for over 25 cities in the region. Ms. Zviya Baron, an energy innovation and policy expert is principal at PetroQuantum, and serves as the advisor of the National Energy committee at the Israeli National R&D Council. She is specialized in designing policies and strategies to promote energy innovation. Dr. Efrat Oron is the Director of Research and Outreach at the Manna Center for Food safety and security in Tel Aviv University. Dr. Oron was a scientific advisor at the Fuel Choices Initiative. Pr Jean-Michel Lavoie is the Chairholder of the Industrial Research Chair on Cellulosic Ethanol and Biocommodities (CRIEc-B) at the Université de Sherbrooke as well as leader of the Themochemical Biorefinery Task Force and the Gasification project in the BioFuelNet network. The decline in oil prices since 2014 created a more challenging economic environment for alternative fuels. At the same time, an increasing emphasis is put on implementing cleaner transportation solutions. This panel will address the role of the regulator, the challenges and opportunities in this new environment. Automotive industry experts will present their vision on the future of energy in the automotive industry, discussing how alternative fuels and powertrains, and smart mobility solutions and new business models will shape the future. A series of lectures and panel discussions about emerging technologies and new business models that will impact the way we consume transportation and use energy in transportation – from autonomous driving, to the sharing economy and synchronized transportation systems. Electric mobility presents new opportunities and challenges to transportation systems, as vehicles, charging infrastructure and information technologies are developing and business models are adapting to consumer needs. Actors along the electric mobility value chain will discuss how the electric mobility environment is shaping. This session will be composed of latest innovative academic research in the field of alternative fuels and alternative mobility. Ted-style presentations will be given by leading Israeli researchers from different universities and research centers. Synthetic fuels, especially those produced from feedstock such as natural gas and biomass, could potentially have a significant effect on dependence on crude oil, energy security, economics and environment. In this session, we will hear from leading business and research speakers on their latest developments which turn this potential into reality. Advanced biofuels technologies are currently being deployed around the world. Whether if the feedstock is agricultural residues or solid municipal wastes, many questions are raised regarding the economic viability as well as the LCA of these fuels. This panel will shed light on the potential of these technologies regarding technological and economic feasibility. Different aspects will be raised both on the feedstock side as well as the conversion to fuels. In addition, the panel will discuss what is the role of the academic R&D in helping achieve the technological and economic goals that are set by different stakeholders. • Zviya Baron, Principal, PetroQuantum B.V. The Smart Transportation Accelerator, part of the Center for Innovation in Transportation at the Porter School, Tel Aviv University, is holding its Demo Day for graduating round of startups, followed by the final stage competition for the next round. Join us for pitches of entrepreneurs working on smart mobility solution. Professor Jay D. Keasling from the university of California, Berkeley, USA and Professor John B. Goodenough from the University Texas at Austin, USA, who share the Prize equally. These two distinguished scientists have been awarded the prestigious Prize for their innovative scientific and technological contributions that have the potential to lead to the development of alternative fuels for transportation, replacing the fast depleting fossil fuels which are the major fuels used nowadays in transportation. This is the third time this prize has been awarded by the Prime Minister’s Office, the Ministry of Science, Technology and Space and Keren Hayesod. The Eric and Sheila Samson Prime Minister Prize, of one million dollars, is the world’s largest monetary prize awarded in the field of alternative energy and is granted to scientists who have made crucial advancements to the field. The winners were selected from a distinguished list of worthy candidates nominated for the Prize by university presidents, heads of leading research institutes and CEOs in industry, from Israel and around the world. The winners were selected by a panel of judges composed of international leading experts in the field of alternative energy who submitted their recommendation for approval to the board of trustees of the Prize, chaired by former Technion President, Professor Yitzhak Apeloig. Prime Minister Benjamin Netanyahu: "This is the largest and most distinguished prize in the field, represents the highest esteem to the researchers for their efforts and support major technological breakthroughs in the field of alternative fuels for transportation". Minister of Science, Technology and Space, Ofhir Akunis said: “This prize symbolizes the commitment of the State of Israel to the advancement of the field of alternative fuels, which is of utmost importance to every aspect of our live here - to Israel’s economy, security, scientific research and society". Professor Apeloig shortly described the innovations developed by the two Prize laureates: The first recipient, Jay D. Keasling is a professor at the University of California, Berkeley, and an Associate Laboratory Director for Biosciences at the Lawrence Berkeley National Laboratory and chief executive officer of the Joint BioEnergy Institute which is the largest in the field in the USA. Professor Keasling pioneered the engineering of microorganisms to transform cellulosic biomass to hydrocarbon biofuels that directly replace gasoline, diesel, and jet fuel. Prof. Keasling achieved this scientific breakthrough by constructing biochemical pathways inside microorganisms to produce hydrocarbons with properties similar to those of fossil fuels while minimizing genetic alteration of the microbe and reducing the toxicity of the fuel to the engineered microorganism by expressing cellular “pumps” to export the fuel out of the microbe's cells. These major breakthroughs have already enabled production of hydrocarbon biofuels from cellulose which are now being used in buses and planes. A major advantage of Keasling’s technologies is that there is no need to alter the existing transportation infrastructure, which has the potential to save the world billions to trillions of dollars. The second recipient is Professor John B. Goodenough, from the University of Texas at Austin. Professor Goodenough is a pioneer and giant in the field of Li-ion batteries. His inventions lead to the present high energy Li-ion batteries technology which is being applied on a large scale worldwide to power both electric cars and wireless devices. Goodenough identified the materials which serve as the cathode oxides in Li-ion batteries. These oxide materials and the fabrication of discharged cells developed by Goodenough are used in the Li-ion batteries which provide electric power to the fully electric and plug-in hybrid cars, as well as in wireless devices. Professor Goodenough continues to develop the technology of Li-ion batteries as well as other types of batteries, which may further enhance the use of electric cars replacing fossil fuel cars. 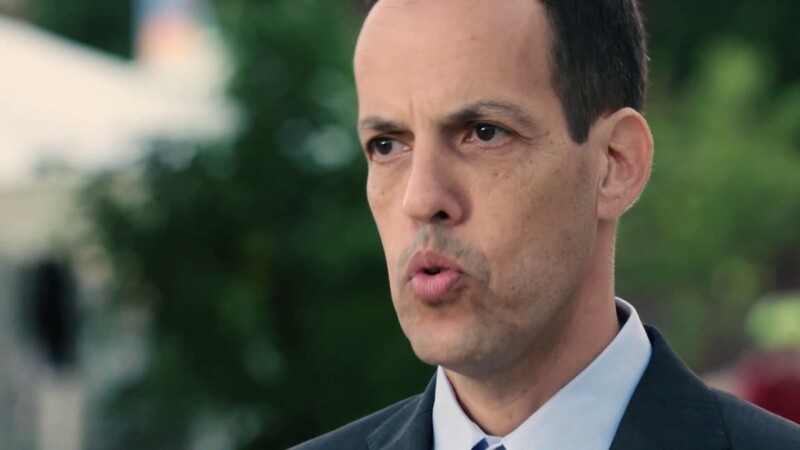 Professor Yitzhak Apeloig, Chairman of the Board of Trustees, stated: “The basic scientific discoveries and the technological developments made by the Prize recipients have helped humanity advance one step closer to the moment in which fossil fuels for transportation will be replaced by other sources “. The Board of Trustees that reviewed the recommendations for the prize and oversaw the selection of the winners included in addition to renowned scientists also: Prof. Eugene Kandel – former head of the National Economic Council; Chief Scientist at the Ministry of Science, Technology and Space, Prof. Nurit Yirmiya; Chairman of Keren Hayesod, Modi Zandberg and a representative of the donor’s family. The prize will be presented to the two laureates on Nov. 10th of this year, as part of the International Conference, Fuel Choices Summit, which is being organized by the Fuel Choices Initiative at the Prime Minister’s Office, spearheaded by Eyal Rosner and Keren Hayesod. The Summit, will gather business people, entrepreneurs, scientists and government officials from around the world, to discuss effective ways to reduce the use of crude oil in transportation. 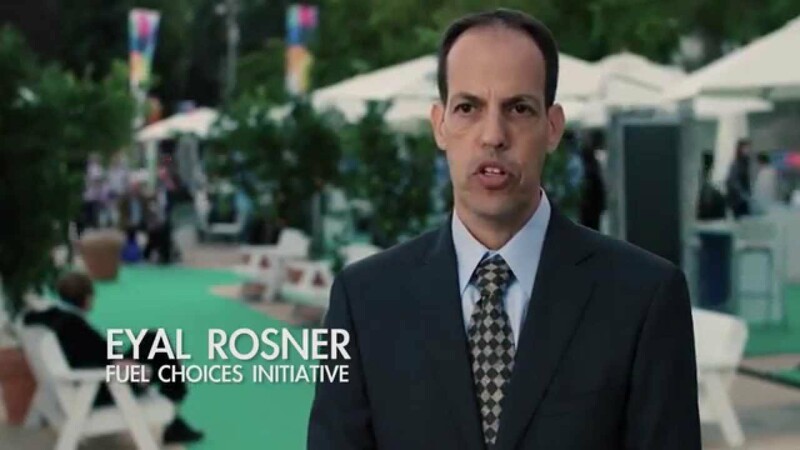 Fuel Choices Initiative Director, Eyal Rosner: “Israel is expanding its efforts to dramatically decrease the world’s dependence on oil in transportation. For the third year, the Fuel Choices Summit will bring together policy makers, business leaders, financiers, researchers and entrepreneurs in the fields of alternative fuels and smart transportation, for a dialogue about the world’s most forward-thinking approaches to transportation technologies and future business models, and to promote Israel’s ambitious goal of reducing 60% of the country’s oil consumption by 2025". Goodenough currently serves as the Virginia H. Cockrell Centennial Chair of Engineering in the Cockrell School of Engineering at UT Austinhe. He is the recipient of numerous national and international honors, including the Japan Prize (2001), the Enrico Fermi Award (2009), the Charles Stark Draper Prize (2014) and the National Medal of Science (2011).